Not a member? Join and save on this concert and more! Thursday, May 2nd 7:00 – 8:30 p.m.
Tickets are $12/members, $15/non-members. Available on-line, at the Center gift shop, and at the door. Doors open at 6:30. On street parking is free! 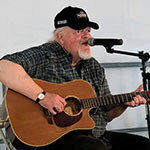 Thursday, June 6th 7:00 – 8:30 p.m.
Fiddlers’ Green, which was popularized in the 1960s by an Irish group calling themselves The Dubliners, has become firmly entrenched in the canon of maritime music. 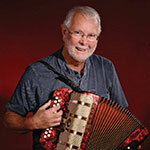 These days Conolly performs his own material with warmth, good humor and lilting accompaniment on guitar and melodeon. While Conolly’s best-known songs have been performed and recorded by many famous artistes, there is always a special buzz in hearing them sung by the man who wrote them and hearing the latest ditty to fall from his pen. 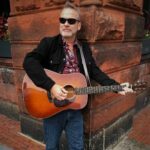 Joining John on stage will be Rob van Sante, whose precise guitar work and strong vocals add a richness and depth to Conolly’s performance. 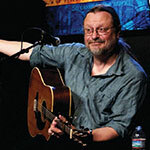 Dutch-born van Sante has been part of the British folk scene for the last 45 years, and is a noted producer, recording engineer and session musician.